Fantastic 2 Bedroom Apartments are perfect for Groups with up to 4 available on the 13th Floor. Come home and relax after your long days exploring our beautiful city. 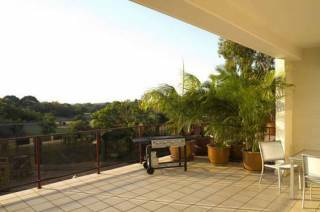 These Spacious Apartments can sleep up to 4 Guests (1 Bedroom - 2 Guests / 2 Bedroom - 4 Guests) and can accommodate one car, this two bedroom property offers spectacular views of the Darwin Harbour and is truly a home away from home. Facilities include a swimming pool, lap pool and gym to keep up your fitness regime! If you are looking for the perfect place to stay for your next holiday then look no further. 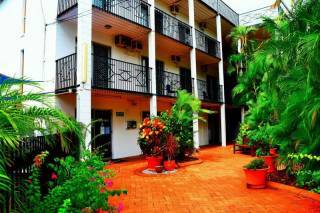 Whilst enjoying the views take advantage of the balcony area complete with comfortable outdoor setting and gas barbeque. 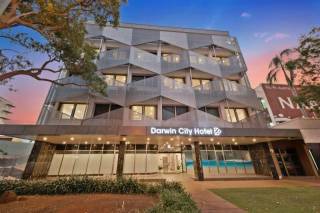 The unit is perfectly positioned in the heart of Darwin City. 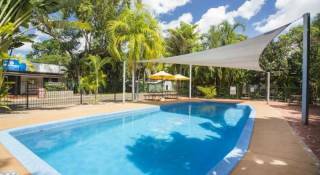 This property is central to Smith Street Mall, Mitchell Streets cafes and nightlife, Darwin Harbour, Wharf Precinct and Cullen Bay Marina.Within walking distance to almost everything you would need during your stay. All linen is supplied and extras are available upon request. Washing machine and dryer is also with this apartment. The fully air conditioned apartments are equipped with everything you have in your own home. Cook up a storm in this fully equipped modern kitchen including a microwave, dishwasher and refrigerator and all cooking utensils as well as an array of electrical appliances for your convenience and to make your stay more relaxing. The property is to be left in a clean and tidy state, with floors swept and dishes washed and put away. All rubbish must be emptied into bags and put inside wheelie bin. Any excess rubbish that won’t fit in the bin must be removed from the property or a rubbish removal fee will be charged to you. Beds must be left with quilt covers straightened and clean. Dishes must be done and put away clean. The cleaning fee that is charged to you is the cost of having the unit hygienically cleaned after your stay NOT for cleaning up after you. An amount deemed by the booking manager is payable by guest for any extra cleaning or rubbish removal and it shall be redeemable from the tenant where necessary. Any amounts required by booking manager from tenant shall be taken from the tenants bond without prior notice to tenant. Booking Deposit: 1st Nights Accommodation Cost at time of booking. If booking within 14 days of arrival then total booking amount to be paid at time of booking. 0-14 Days: Full Accommodation Amount.